MANILA, Philippines - Online employment marketplace Jobstreet.com has revealed recently the list of the top companies in the Philippines that Filipinos dream to work for based on the results of Top Companies Report for 2016. The Filipino-owned business giant San Miguel Corporation (SMC) still topped the list this 2016 for the Most Aspired Companies in the country for the third year in a row. Food and beverage company Nestlé Philippines took the second place while global management consulting, technology services, and outsourcing firm Accenture ranked third or same position last year. BDO Unibank Incorporated and Ayala Land Incorporated rounded out the top 5 for most preferred employers. 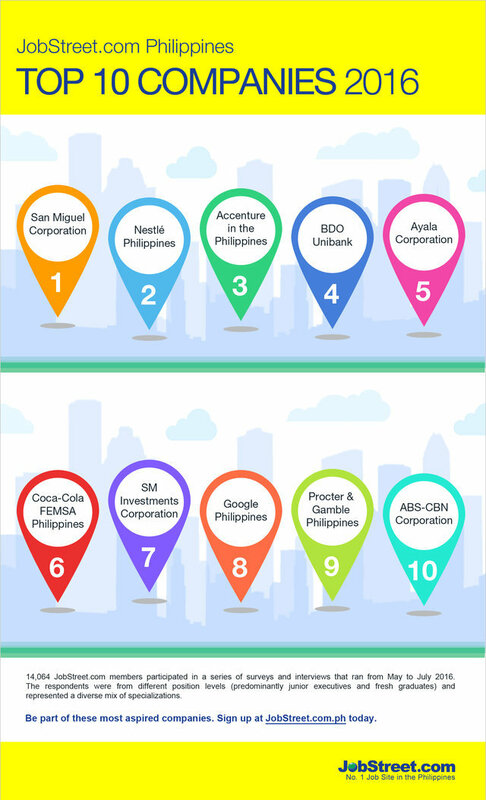 Other companies in the top 10 includes Coca-Cola FEMSA Philippines, SM Investments Corporation, Google Philippines, Procter & Gamble Philippines and ABS-CBN Corporation. The 2016 survey, which ran from May to July 2016, was participated in by 14,062 JobStreet.com members representing a mix of employees who hold different position levels. It was also revealed that Basic Salary is the top factor Filipino jobseekers look for in companies they apply to. Other factors include Perks and Benefits, Training and Development Programs, Promotions and Career Development, and Company Reputation. 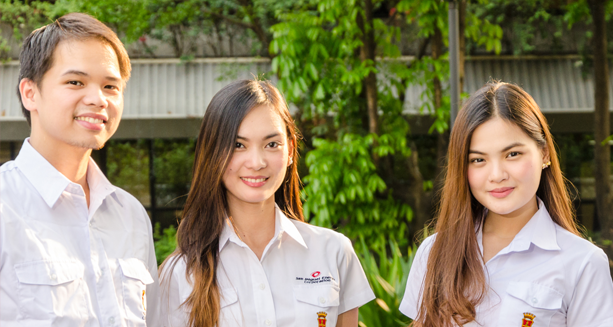 JobStreet is the number one talent and employment marketplace in the Philippines and in Asia. The annual Top Companies Report aims to recognize the exemplary standing of the most aspired companies by Filipino jobseekers.